So you’ve been in phase 4 for awhile now. 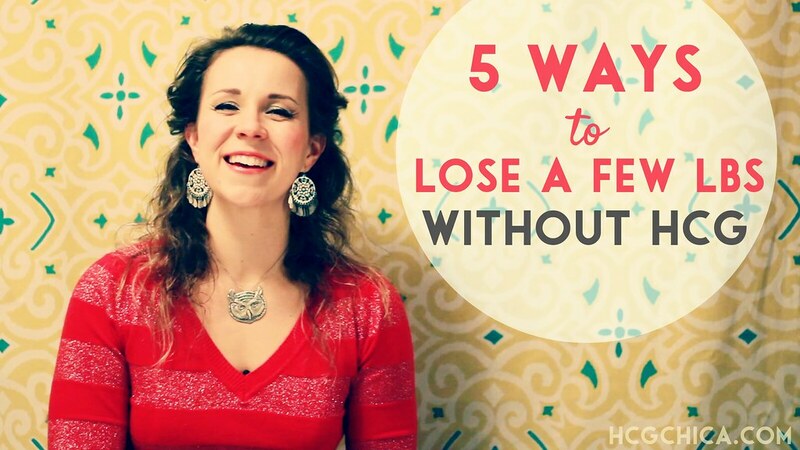 Perhaps you’ve lost fifty, sixty pounds, and you’ve maintained well. But recently due to life circumstances- emotional trauma, vacation, whatever, you find yourself outside of your comfort zone on the scale. 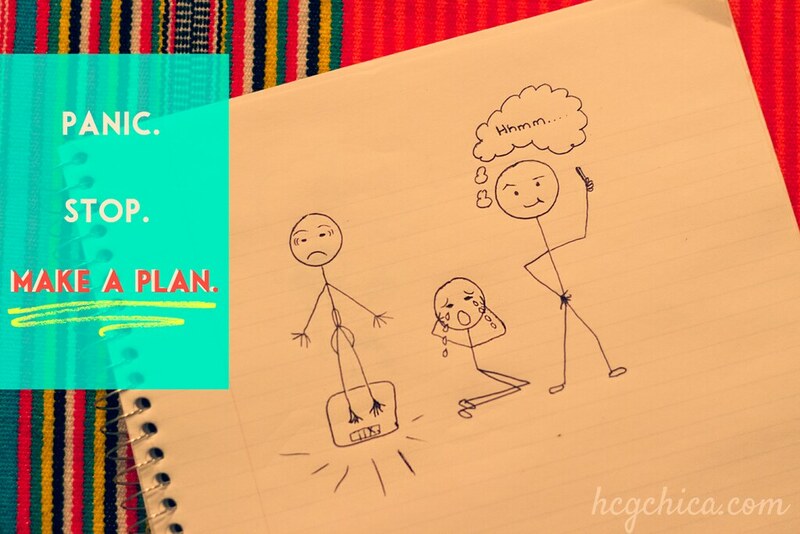 Your first thought MAY be to do a round of hCG- but is this really necessary? Here’s a few key points that might help you if you’re in this situation or it happens to you down the road (don’t be surprised if it does- women and weight seems to be a lifelong struggle!) Additionally, if you watch the video or listen to the mp3 you can hear my interview with Bonnie who recently lost about 10lbs with phase 3 eating and eating to hunger. Don’t Panic. Or Panic and Then Stop Yourself. 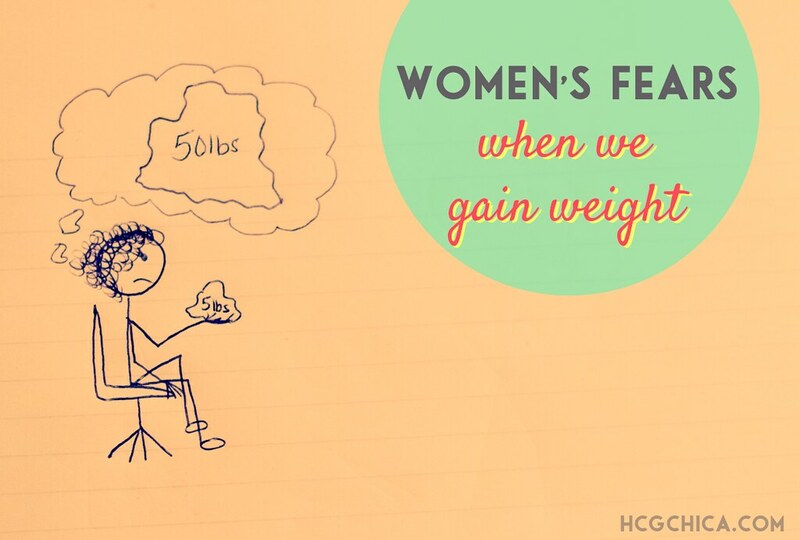 I am guilty of this too- in the past, when I realized all of a sudden that my clothes were barely fitting where they had been comfortable before, and the scale had been creeping up but I didn’t really notice it until 5lbs went by, my first thought was, “I have to do another round of hCG!” I know I’m not alone here- c’mon admit it- you’ve thought this very thing a time or two. If it were me, anything less than about 8lbs I would try to lose it on my own- for me personally. Anything over that, I would probably use hCG to get it off- once the chunk of weight gets to be a certain amount, hCG is simply just so efficient. So if you’re past the 8-10lb mark on weight gain, you can check out my current recommendation for buying hCG options. I have a full review on one company, NuImage Medical, that I think very highly of myself because they are the ultimate in-the-box solution, but all online. What is the actual fear? I’ll tell you the ones that have run through my mind in the past- there are 4. 4.) that things would automatically continue to spin out of control until I was back to where I started, 30-50lbs higher. That fear I used to feel was debilitating and actually would create a scenario where I would turn to eating in my despair over having “ruined” something. This just doesn’t make sense. It doesn’t! Yet the vast majority of women have done exactly this. The only way to change this is to consciously adjust our thinking. We have to get away from that well worn path in our brain, that’s so easy to skip down because there’s no weeds until we realize at the end there’s a precipice we fall off of. We have to consciously CHOOSE to think about the gain or the poor food choices/amounts differently- and it will feel uncomfortable. It will be beyond your comfort zone to think in this way. In fact, I have a recent article talking about how guilt seems to do more harm than good. Instead of thinking about the damage you’ve done, how bad you feel about it, how you feel you let yourself done, instead MAKE A PLAN. Forget the past entirely. The only reason it matters at all is how it affects what you do going forward for the next couple weeks and beyond. One reason the idea of making adjustments or corrections to eating is that we sometimes think of it as the start of another period of “dieting” where we have to be deprived for an extended length of time again. That really doesn’t have to be the case. Making corrections and adjustments can be done in different ways and doesn’t have to take a long time. It can be done in short batches of time, even just a few days, or 1 day! Dividing up the project into smaller bits can make the getting off of that 5 lbs merge seamlessly into your life without you even really noticing it. One of the most important things it seems to be that needs to be in place is something structured. When you don’t have something structured in place, it’s all too easy to just randomly grab a handful of something as you walk by- if you have a plan, even if it’s just for that one day, it can easier to pass up whatever item it is if it’s not within the plan for the day. That is in part why Phase 2 is often easier for people than Phase 3 of the hCG diet, because it is so structured. The rules are clear, and you are guaranteed if you follow them, you will lose weight. Coming off P2, P3 can feel very unstructured in contract. However, after spending time back in regular P4 life, going back to P3 can be just the structure one needs to do weight correction. This is the one that is the most common correction measure to take. Kind of going back to the basics and eating no starches and no sugar. For me this usually includes either no fruit, or only a small amount of low sugar berries. You might choose a time frame like a week or 10 days to do this. I do want to mention here that eating low carb, for extended length of time, can cause hormone problems for women- read the next point about eliminating dairy to see a surprising outcome for continuing to eat carbs while losing weight. Even those this is the often the first thing we turn to in order to shed weight, I encourage you to look at these other options. Still, Phase 3 eating is a great line of defense and can be very helpful at getting back to clean eating. 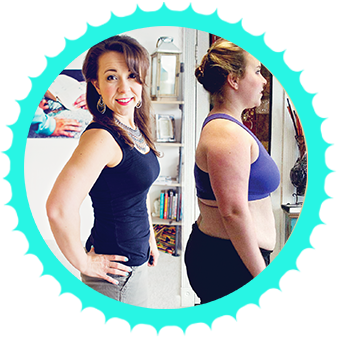 In fact, check out the short interview with Bonnie in the video who lost 5-7lbs on her own after hCG through this method of phase 3 eating combined with the method of eat to hunger (outlined at correction method #5 below) and her experience with that. Try something new like removing dairy. The reason I suggest is that, while I have managed to maintain my weight fairly well throughout the breaks from each of my hCG rounds etc, I never realized that it was actually a bit of a struggle until I took dairy out and my weight automatically dropped about 5 lbs without any other changes and has been easier to maintain than ever before- unbelievable as it may sound, I even venture to say, effortless. I did not expect this, especially because I was not eating low carb when I instituted this change- I was eating whole fruits, potatoes, organic corn, and rice (within moderation of course). Maintaining my weight since taking out all dairy all dairy but 1 tbs of halfnhalf in my morning black tea can honestly be called effortless. I’m not saying this will happen for everyone that does this, but more people have a sensitivity to it than may realize so it may be worth just trying. It took about 2 weeks for me to lean out doing this. I have found that I can eat carbs more freely now as a result of removing dairy while easily maintaining a 123-125lb range. If you are trying to lose that 5-7lbs though, it may be wise at least initially to eat lower carb as well (think more veggies!). I actually eliminated nuts and dairy at the same time a few months ago. You just might be surprised by the certain food groups that your body doesn’t tolerate well or does much better without. You don’t know till you try it out. I’m not going to go into all the details here of why it’s so effective and why it’s healthy etc- you can more info on this with tons of proof that took the paper bag off my own head in Brad Pilon’s book Eat Stop Eat. Basically we’ve been mislead by the media and newsstand nutrition magazines to think that we have to eat 6 small meals a day or our body will go into starvation mode, we won’t lose weight, or that not eating at any given time means we have an eating disorders. Eating disorders are real of course- I used to have a binge eating disorder for a period of time myself- but intermittent fasting for health is entirely different. The dude who wrote the book is a bodybuilder and totally ripped. Also, I’m not saying you should never eat frequent meals- every person’s body is different, the same body will change as you age or go through different health crises, so certainly, listen to your body. People with adrenal fatigue often really do need to eat frequent small meals. I’m just saying that this is not the only way, by far, that the average healthy person has to eat in order to lose or maintain weight loss, as we’ve led to believe. I say all this with confidence because I have used intermittent fasting myself on and off the past couple years now to keep things in balance and it has been so simple and easy for me this way. That’s what is so great about intermittent fasting (aka IF)- its simple and doesn’t require thoughts about food all the time- you’re actually spending LESS time thinking about eating, which is quite freeing. The basic idea when done Brad Pilon’s way is to fast 1-2x’s a week (not back to back like mon,tues, but separated like mon,thurs) for 24 hours. When you begin your fast after dinner of one day- say monday evening at 6pm, you end it 24 hours later, tuesday evening, at 6pm- meaning you never go an entire day without a meal- you’re always at least getting dinner. I LOVE fasting. I do think it can take a little adjustment when you first try it out, but my body quickly adapted to it- it leaves me feeling very clean, makes me crave healthy food and eliminates and weird cravings or desires for junky food if any were developing. Another way to do fasting is to have a shorter fasting window and do it more frequently- for women a 16/8 window has been recommended- where you eat all your food for the day within an 8 hour window and fast for 16 hours each day- obviously the only sane way to do this is to include your sleeping time in the 16 hour fast. I often end up fasting for 14-15hrs because of my schedule and my body is quite comfy with it. Since I like to crossfit fasted (just feels the best for me), and I often don’t go to crossfit till noon, I often don’t have my first meal until 2pm or later. Then I eat throughout the rest of the day until 1o-11pm when I go to bed. Repeat. This has worked quite well for me- it’s just my way of life that I don’t even think about. As with everything, balance and caution are in order- please see this article about problems that can occur when women do both intermittent fasting and the Paleo diet (which is also low carb) together. While I don’t believe humans evolved myself, the core information is something to think about. While I do fast on and off, and I do work out hard, I also eat heartily, with carbs, when I do eat. Anything that you take to extremes can take a toll on your body. I have been doing intermittent fasting and Crossfit long enough now (2 years) to feel positive that not only has it not harmed my health, it has improved it- but this is ONLY because I have counterbalanced these actions with fueling my body and making sure it didn’t feel stressed and deprived at other times. I feel this has created a happy balance for my body and allowed my body to utilize things very efficiently- I have been able to improve my body and strength without hurting my organs and hormones in the process. Even if you do this, it’s very possible that intermittent fasting is not a good choice for your body. However, I know many swear by it and it certainly IS a great idea for those who find it fits them well. It’s simply a very balanced way to approach eating that you can’t go wrong with. If you are eating in this manner, you are letting your body be your guide in how MUCH you eat at any given time. The best book on this topic is the creator of the hunger scale, Robin Woodall. Read her book Weight-Loss Apocalypse: Emotional Eating Rehab Through the hCG Protocol. 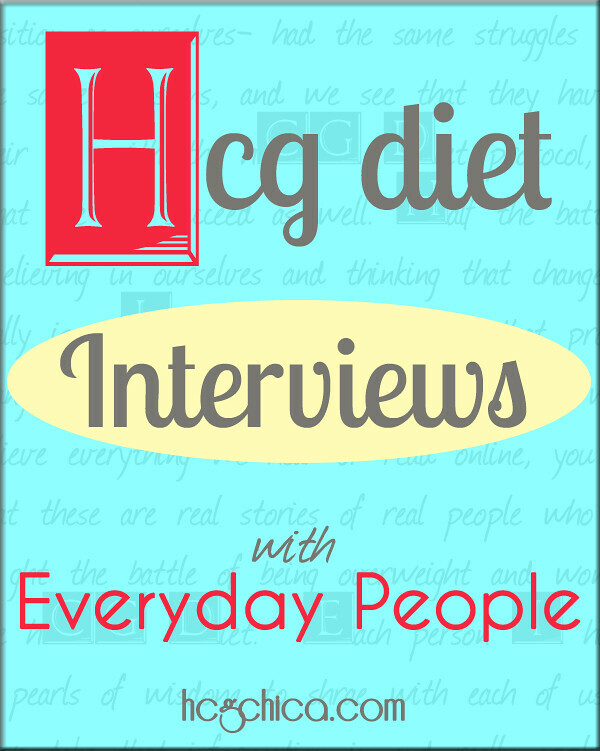 See my interview in this video with Bonnie, an hCG success story who used P3 eating and eating to hunger to lose a 10lb weight gain without hCG. We have been conditioned to think that only low carb can be bring about quick weight loss results (aside from the hCG Diet of course), but my recent experience here with taking out nuts and dairy while continuing to eat a regular amount of carbs made me realize that we might need to think more outside the box and attempt different things- especially if one method doesn’t seem to be working or to be maintainable. I have had several reports from women who say they either gradually gain weight even while eating low carb, or that the only way to maintain their weight is by eating low carb and that anytime they start to incorporate even small amounts of starches, their weight goes up. So I’ve wondered to myself if this could perhaps be one of the missing pieces here. The paleo people might really have something there with the no dairy. In the end we are each unique and that’s why you need to try things out and see what your body responds well to. I am not strict Paleo- paleo people don’t eat dairy or grains but they do eat nuts- I have no doubt my body doesn’t like most nuts, and it feels fine with rice, so it makes more sense for me to make specialized adjustments to coincided with how my own body operates. I hope this helps you guys! If it did, could you do me a favor and like or share it in your favorite social media hangout? I have done 15 rounds of the HCG diet with the drops, not the injections. I have had great success losing about 100 lbs over 4 years. Actually if I really counted it would be closer to 200+ lbs. I do lose 15-20 lbs in a 23 day round. The problem… gaining the weight back between rounds. I have fine-tuned much of this knowing that in maintenance I can’t eat bread, desserts or pastries without it leading to instant gain. The problem is sometimes a girl just wants Pizza and Cookies. But I keep trying, I have not given up. The fact is HCG worked when nothing (and I mean absolutely NOTHING else worked) Those nay-sayers don’t know what they are talking about, this works! I have made the decision that I am going to have to watch what I eat the rest of my life and periodic rounds of HCG may be necessary to maintain. And for the last two years that is what I’ve had to do. 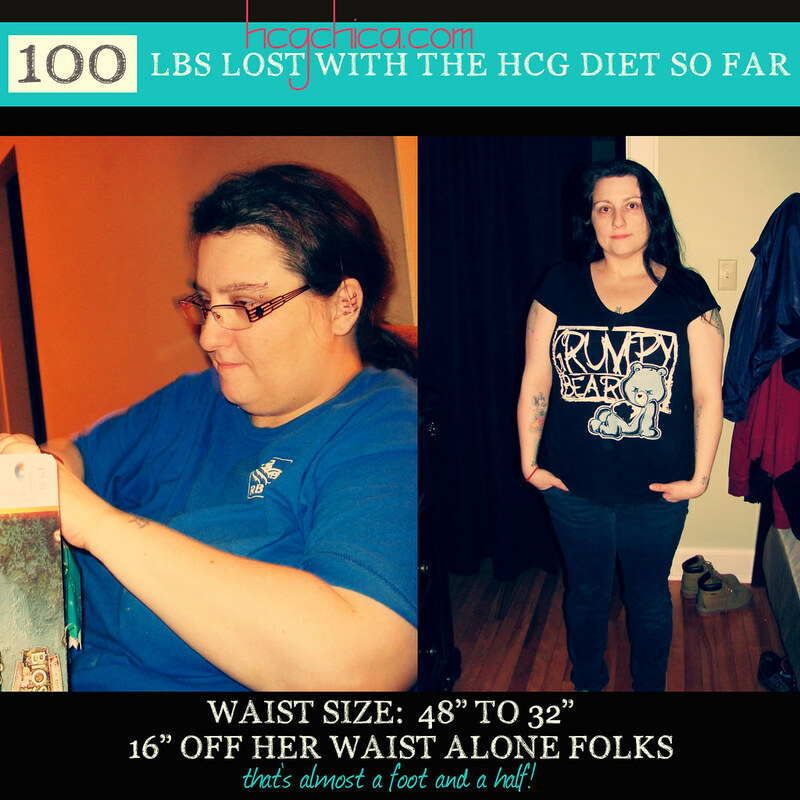 I went up and down with 10-15 lbs but only HCG would take it off again. The last two months I totally screwed up maintenance and instead of 23lbs to my goal, I now have 40 to go – UGH. Please Chica, if you know of a supplement or something that I can take during maintenance that would help curb cravings and keep the burn going I would appreciate it. I have never had a follow up plan that worked. I’ve alternated carb counting, occasional fasting, eliminating dairy and such but it is a struggle. I don’t mind doing the work, but maintenance is driving me insane. Hi @CC ! Nice to meet you. 🙂 Have you tried incorporating some form of exercise yet? I have been finding that i really think that exercise can change how your body utilizes calories. I feel that Crossfit has really done that for me. Just one other idea there. I still don’t eat certain types of carbs to this day, and certain ones make me gain, but then others are okay for me- like I can’t do too much rice, and definitely NO gluten/wheat at all, but corn based stuff is okay for me weight wise. Have you noticed anything like this for you? Can you eat potatoes for instance without gaining? Or is it truly all carbs? Curious about that. I have eliminated rice and really pasta, most breads, desserts and such. But it seems like if I splurge, or have a few off days, 5-10 lbs can come back fast and it’s so hard to lose. I do walk about 4-6 days a week and do yoga, golf, bike, garden and such. I know pastries and breads are trigger foods and try to make healthy subs for other things, like quinoa for rice or spaghetti squash for pasta, sweet potato instead of regular… Etc. just can’t seem to nail it down so there is no gain back…. – If I want to drop those 5 lbs, do i cut my cals to 1200 or keep within my normal range (1590) but just get clean? Basically a hybrid of P3 and Paleo. – How do you know if weight gain is from muscle or food? This obviously doesn’t pertain to this particular situation since I ate like crazy but for further reference, I’m just curious. I’m A LOT like you. The scale is my compass to see if I’m on the right track with what I am eating. I gain and hold muscle quickly… I always have. So when i work out, I find that my numbers do not go down on the scale even if I eat very well. Maybe I’m missing something. I don’t know. Right now that I’m trying to lose the 5lbs that I gained I’m scared to workout in fear that my numbers will not go down. Sounds crazy and backwards and I know that I shouldn’t be so focused on numbers but I feel that that is my only way of measuring. I know that you do crossfit so how do you know from day to day if weight gain is from muscle or foods you’ve eaten? 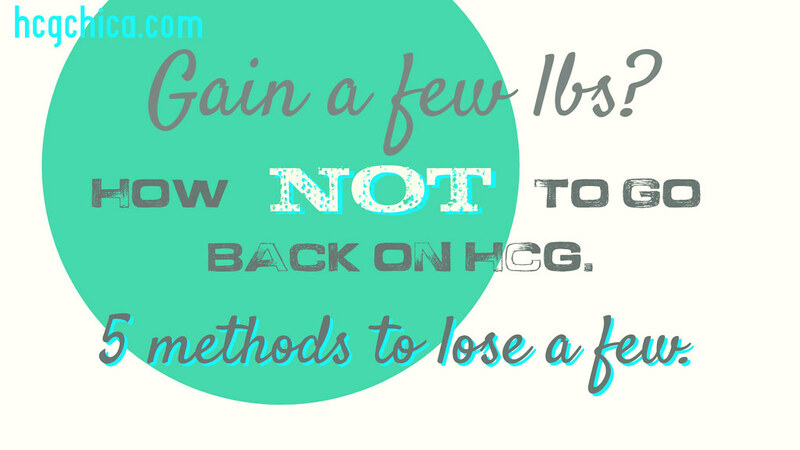 So I tried HCG and I was never able to achieve the no hunger thing. I lost weight, but only because I was committed. However, I was miserable, starving, cranky and sad. I tried it three times, with three different brands, and it was the same thing. Constant, horrible hunger. Real hunger. So I gained the weight I lost back, and now i am trying to figure out how to loose some weight on my own. I agree with the dairy and nut thing completely. But I am curious about the intermittent fasting. What do you think would be the easiest to start with? Are you starving during your fasting day? Or has your body adjusted? Also, do you do this twice a week, every week? And when you do finally eat dinner, have you managed to control the amount in which you eat? I believe dairy products create an insulin release which encourages fat storing as compared to fat burning. Its crazy that something like cheesr can have a powerful effect on hormones so easily. So sorry for the late reply barb! Many I had to switch to chrome in order to reply to comments on my blog with facebook – mozilla just didn't want to cooperate. Weird how nuts and dairy removal make weight so much easier to maintain huh for you and I at least. Hi Anna – sorry for the belated reply – in theory it's a great idea, but the issue becomes where a person may find that they have to do steak days back to back etc. because the weight is either going up too fast OR not enough is being lost after a steak day – but I LOVE intermittent fasting, which is essentially what a steak day is, and I think it's a great tool to have around. In general I do weigh every day, but since I am trying to build muscle, as I have done a lot of that this past year, I don't often always try to stay at a certain number on the scale. But yes totally love steak days and intermittent fasting! That's still what I do when I feel like I've gone overboard for a day or two- follow it up with a day of fasting and then eating dinner. Hope that helps! Great suggestions for long term maintenance. I have also found that cutting way back on dairy has really helped stabilize my weight, as well as staying away from nuts. 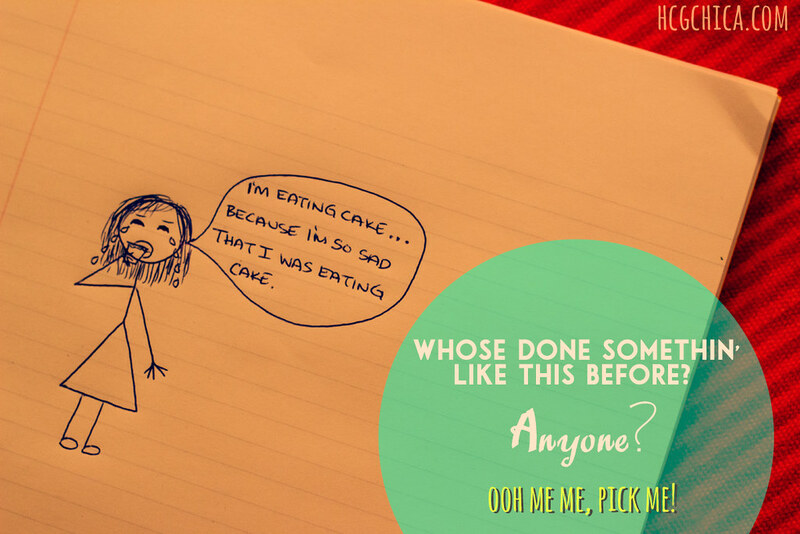 And yes, in the old days, back in my eating disorder life, I did that same thing, eat more because I felt bad about how much I ate! INSANITY!!! LOL. Seriously, over time, long term maintenance is the key, and I have found that all of your suggestions work! I don't really do fasts, however, I do protein only days 1-3 times per week. And on occasion, I still do a steak day. I have the same experience of feeling really great from it, and it decreases cravings! Thanks Chica! Does anyone or has anyone tried to simply weigh everyday and do a steak day if you are over your last injection weight by more than 2 lbs? Like, doing this forever? I've heard some say they do this but I can see how it would get easy to not weigh everyday and stay on top of it but if it works is it something I should try? I've been told a steak day works even after P3….thoughts? In Northeast, Tennessee for three years. I love the program and loved seeing the results. We took 11 diabetic patients off their insulin pumps and had over 300 cases where patients lost 50 lbs minimum, 100 that lost over 100 lbs and 5 lost over 200 lbs. There are some people though, such as myself, that have extenuating circumstances that can lead to weight gain. I shed 226 lbs in 12 months with hCG and struggle with post-hCG weight gain. I have a pre-existing hormone imbalance, am carb sensitive, insulin resistant and show signs of metabolic syndrome. I’ve piut back on 100 lbs in two years. The one thing I’ve found that works great is the intermittent fasting. I’ve seen an average weekly weight loss of around 1.5 lbs doing complete water-only fasting Mondays, Wednesdays & Fridays. I drink 0.5 oz of water per 1 lb of body weight daily (adding a bit of salt to the water for electrolytes). I skip breakfast (and sometimes lunch) and eat only one large meal Tuesday, Thursday, Saturday Sunday. If you break hCG down, part of the protocol includes 16 hours of intermittent fasting daily because you don’t eat from dinner one day until lunch the next. Intermittent fasting is also part of “steak days” which is where you fast for 20-22 hours then consume a large meal of steak with a tomato or apple. One of the best cases of weight maintenance was a couple that maintained their LIW (last injection weight) for over 12 months. Their secret was doing 2-3 steak days per week whether they needed it or not. In essence, once you are on maintenance, you could technically replace the steak with a lean protein of choice such as fish, egg whites or chicken. Steak is ideal because of it being calorie dense. Great article! I finished two rounds and maintained. But now with the holidays and vacation with family I gained 5 extra pounds. Everything you say is common sense! You are so good at expressing the obvious! Prior to the extra 5 I was planning on doing another round (23) to lose another 10 pounds. Well now that I have the extra 5 looks like the 10 has turned to 15! If I could have maintained better I wouldn’t be trying to lose 15!! Uggghh! Hope I can get it off for good! Thanks for all the great information you put out there. You are a blessing to many. :-). And HCG is the real deal. There is absolutely nothing like this. Period. Thanks for your comments- hCG is perfect for getting 15lbs off that’s for sure so I hope you have a great round! Love your feedback on how to lose 5 lbs on hcg phase 3. After reaching my goal in phase 3, do I have to restart phase 3 maintenance again. Or can I just complete the original 3 weeks from the last injection.